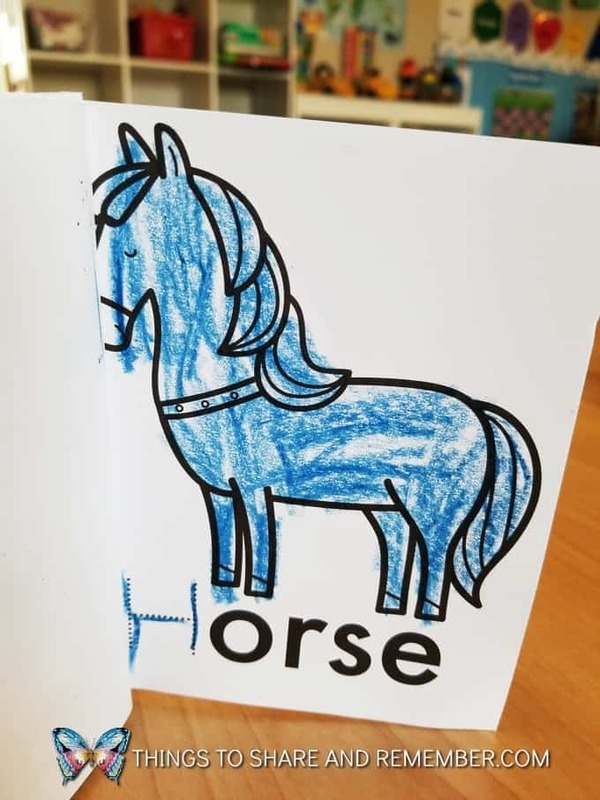 Picasso in Preschool? What’s that all about? 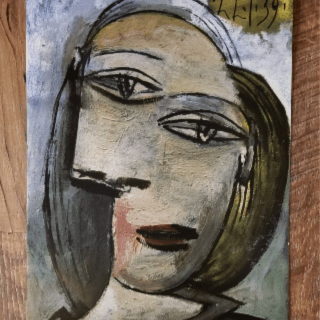 Parents and educators alike might think art by Picasso is “above a young child’s head” or it’s unnecessary to introduce these types of concepts at an early age. After all, some of it is unusual or even unattractive. 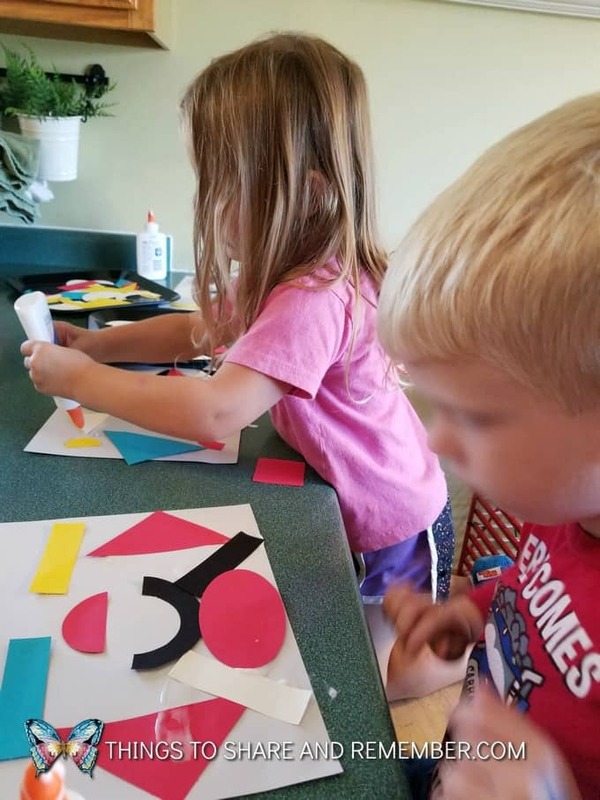 Will children even understand concepts like cubism? 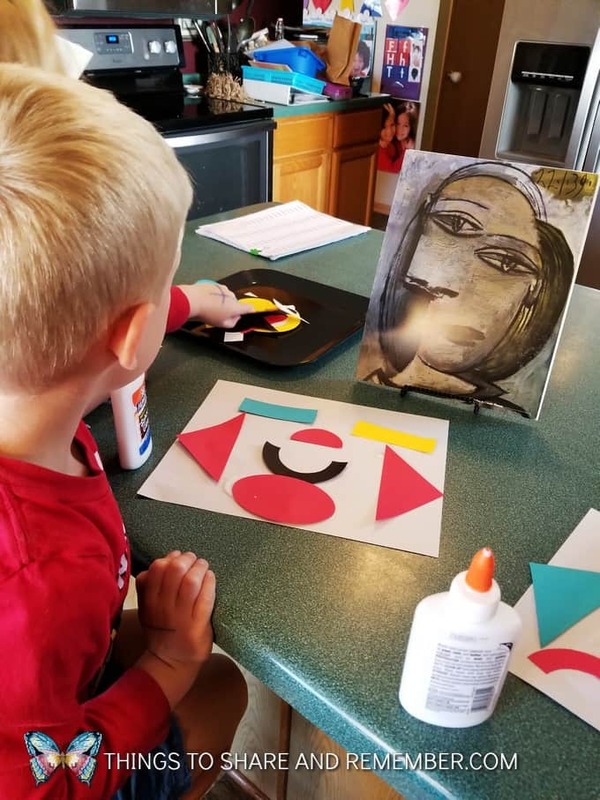 I’ve learned it is beneficial to introduce famous art to young children and appreciate activities like this Picasso inspired Invitation to Create included in our Mother Goose Time Friends and Feelings kit. 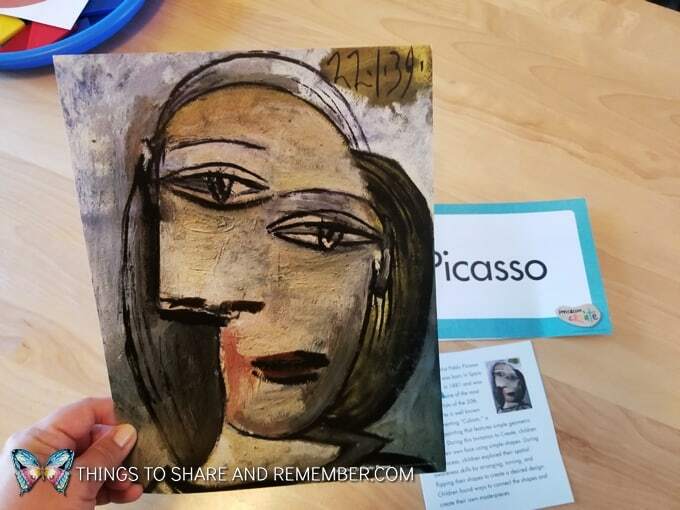 See how we’ve learned about Picasso in preschool along with the feeling of being surprised and why Picasso in preschool is important. 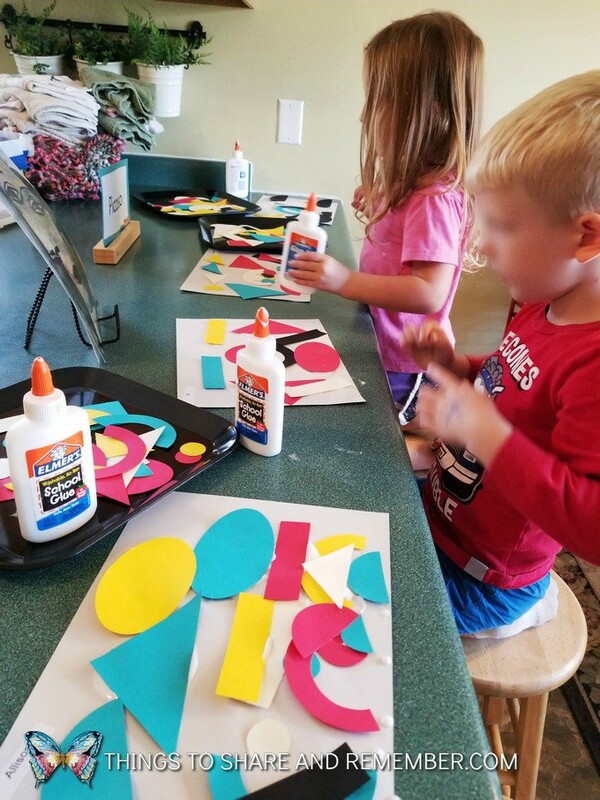 Learning about Picasso in Preschool. 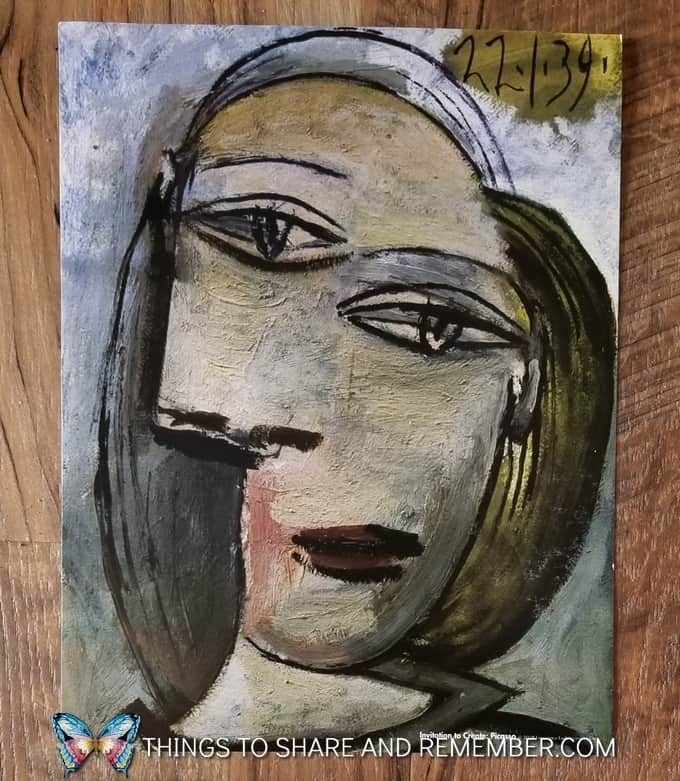 Artist Pablo Picasso was one of the most famous artists of the 20th century. 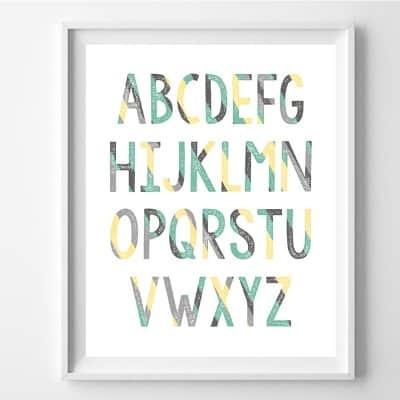 I admit that when I began to use Mother Goose Time and discovered these old masterpiece art inspired projects in the kits, I felt a little overwhelmed. It would be my job to introduce concepts like “cubism”. Yikes, I hardly know anything about it myself! 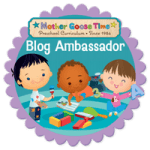 Actually, that’s one of the great things about using Mother Goose Time – I’ve learned so much along with my kids! 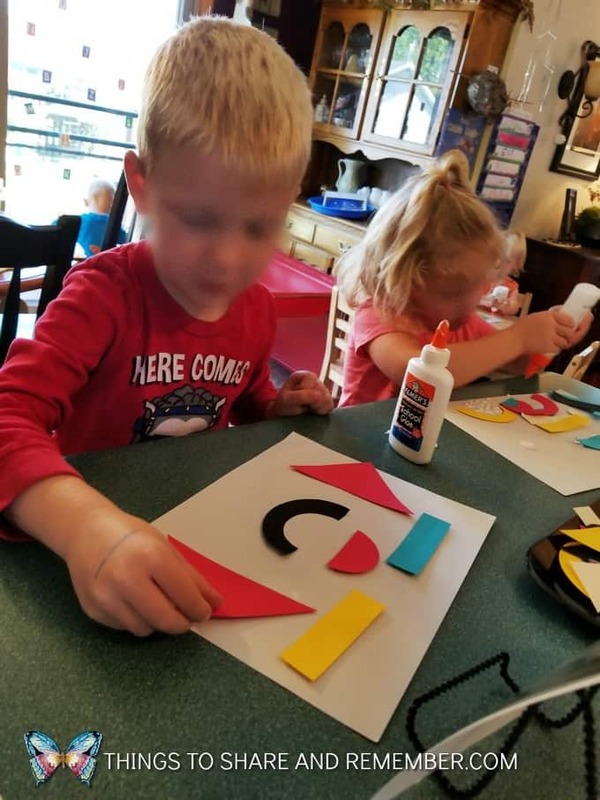 Let’s think about this – Cubism is “a form of painting that features simple geometric shapes.” Well, children definitely can learn about shapes! They also know about faces, we all have one. And they love to paint! So that’s not so overwhelming. 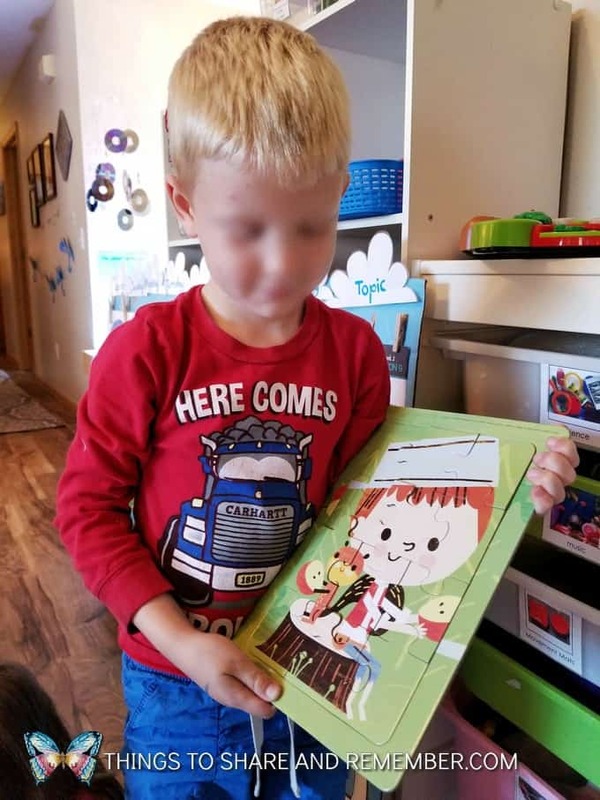 Ask the children what they think about this face. Do they like it? Or not? 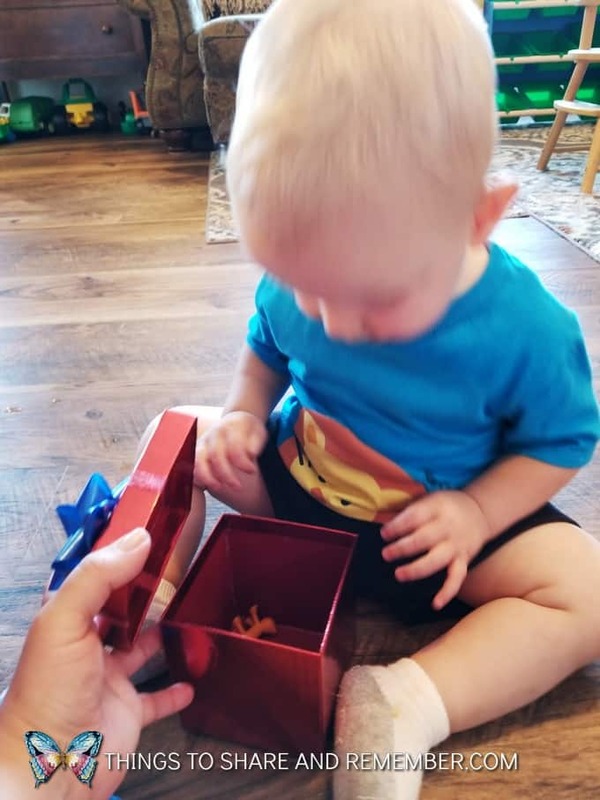 In this case, the creative art activity goes along with the feeling of being surprised. So I asked, is it surprising? Why do you think so? This was just the beginning of our lessons about the feeling “surprised”. 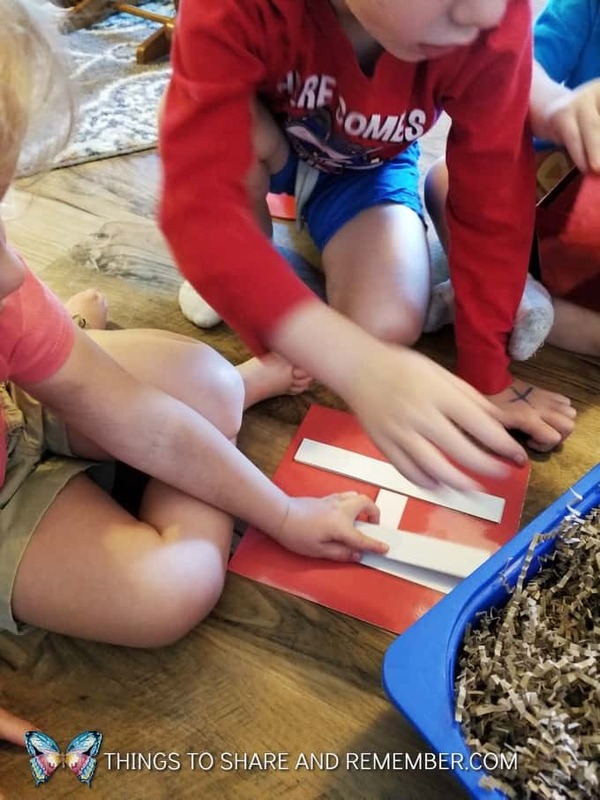 More about the creative activity below. 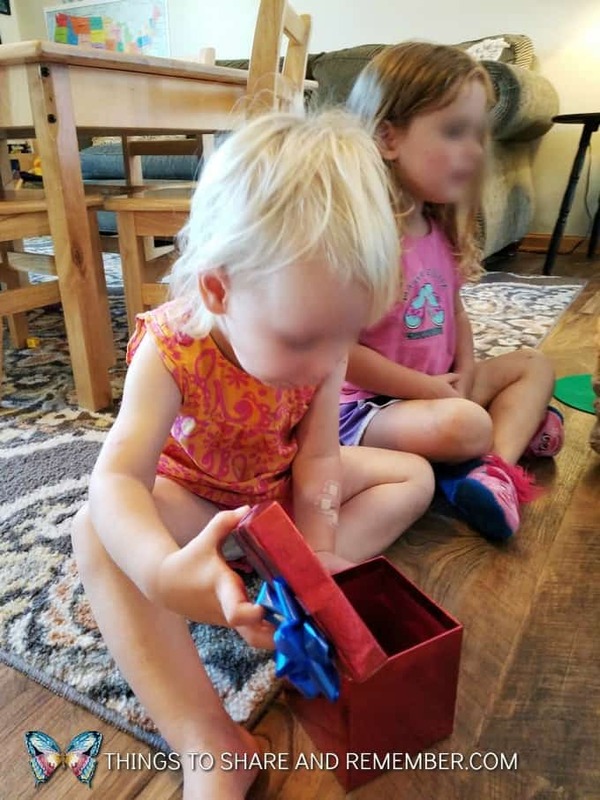 Dollar store gift boxes with lids are awesome toys. I always have them out in December for holiday dramatic play but children love them all year long. I didn’t play a song and pause it because I know my group would just open the box as soon as they had it in their hands anyway. I did ask that they just looked inside and not show or tell everyone else what was in there. 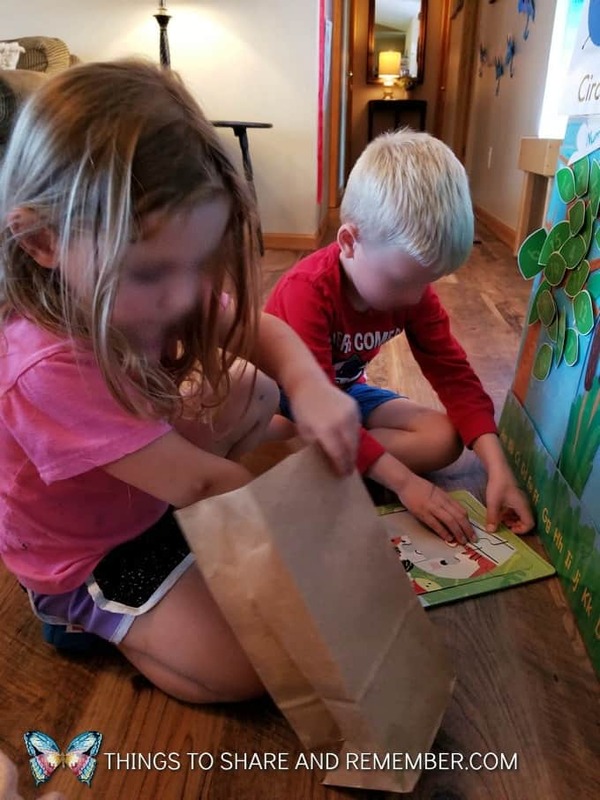 To develop self-control and listening skills, this game could be practiced often with the music. I didn’t feel my group was quite ready for that. Instead, I focused on introducing the concept of being surprised. Something that hidden can be a surprise. 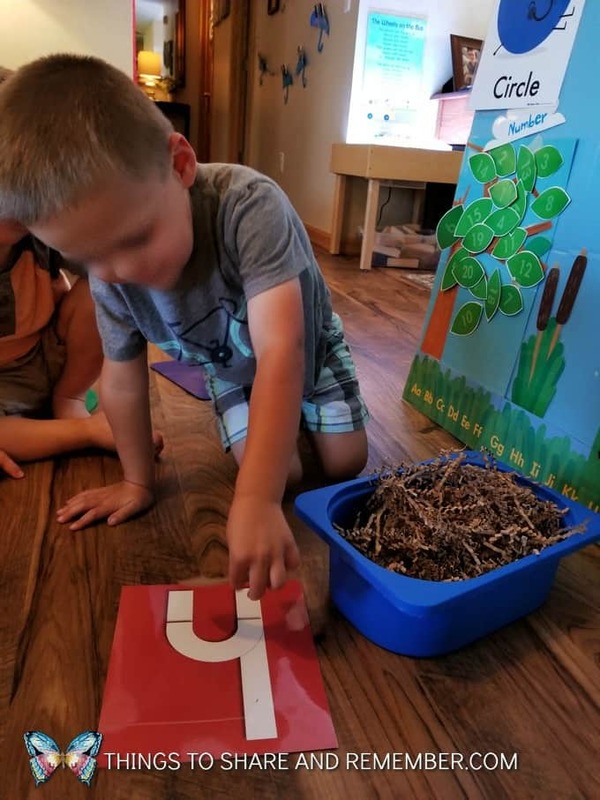 This small group literacy activity was a hit! 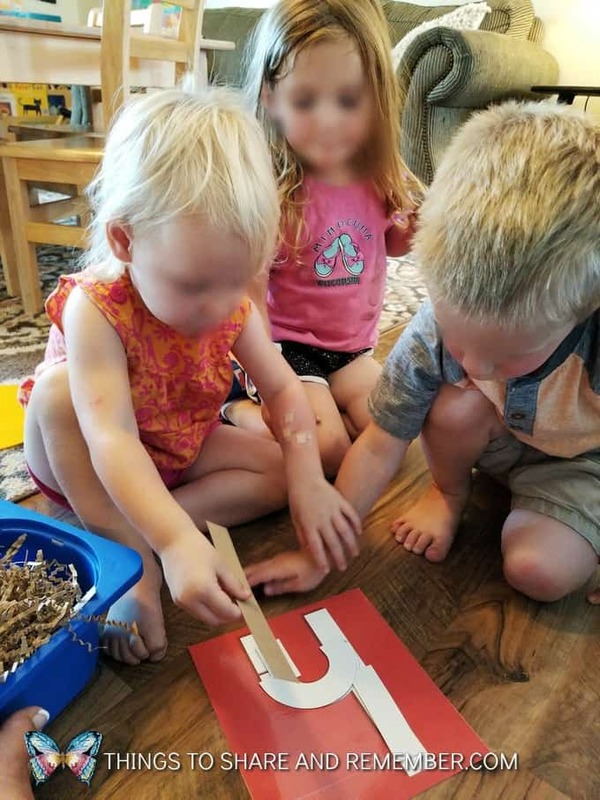 They have seen the letter builder set before but when it’s introduced in a new and exciting way, we can use the same materials and practice the skills once again. 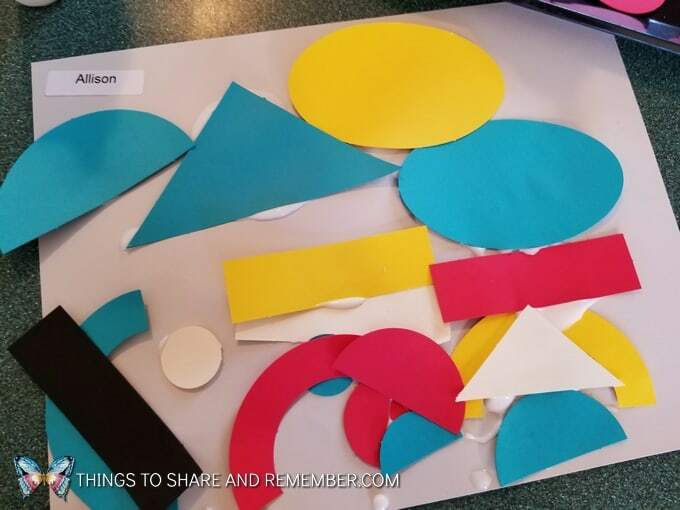 Our Table Top Math exercise also included some familiar items – puzzles. 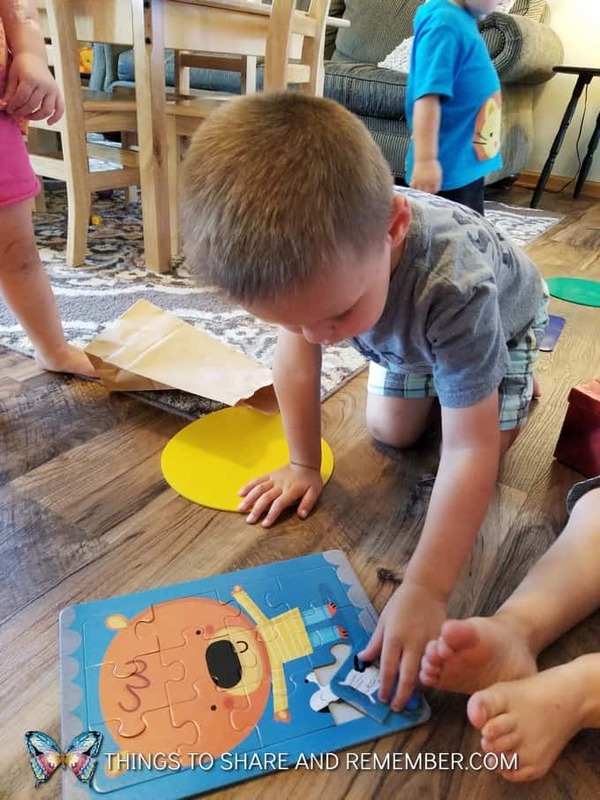 They had already seen the blue bear puzzle but the green Johnny Appleseed puzzle is from the October kit so that one was new to them. I mixed up the puzzle pieces and put some of each into two paper bags. 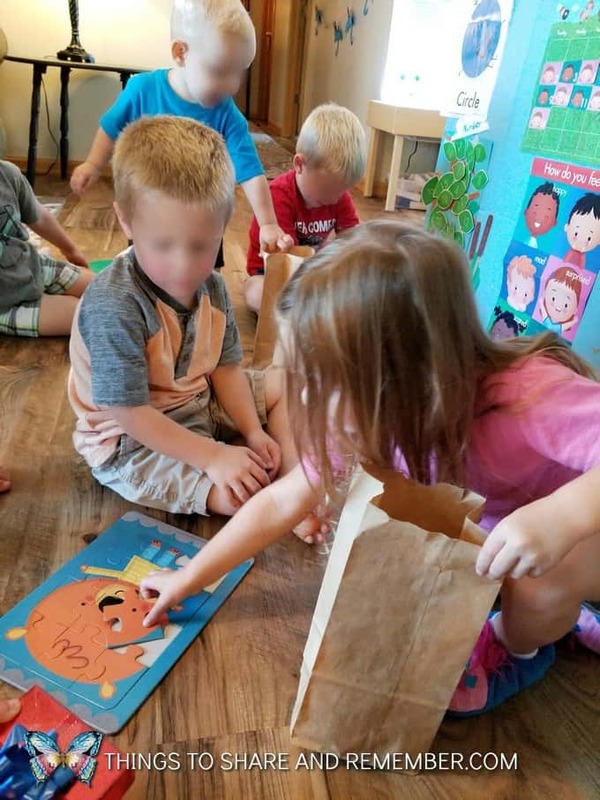 They worked together to select a puzzle piece out of the bags and determine which puzzle it belonged with. The puzzles were put together in no time! 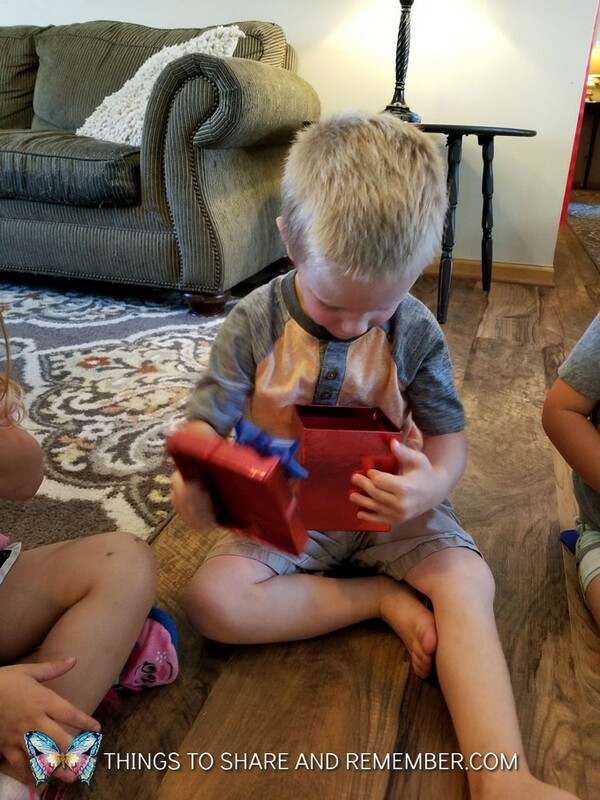 I was amazed, or shall we say, surprised, at their ability to take turns, determine which puzzle the piece belonged as well as work together! 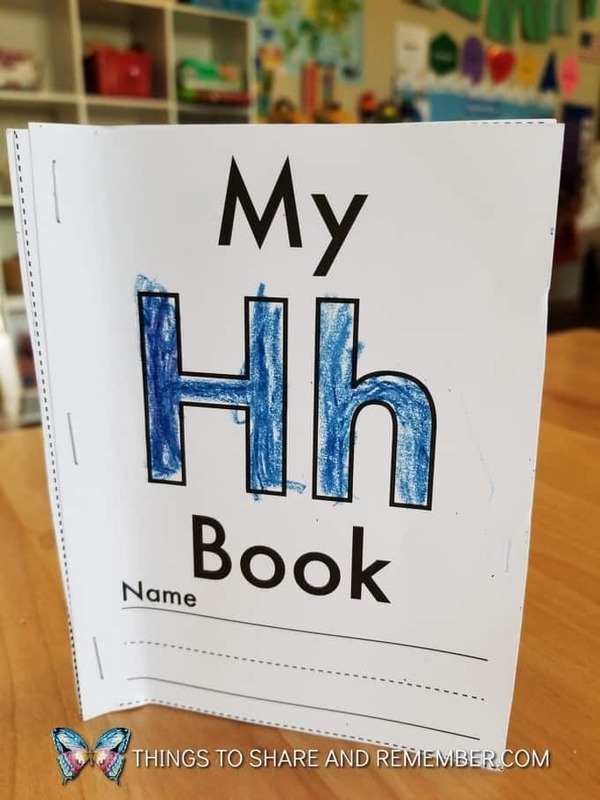 We also colored in our letter Hh booklets. This year’s Letter Books are very popular! Sometimes we color in the floor, as an extension during circle time. I encourage the kids to lie on their tummies while they work. 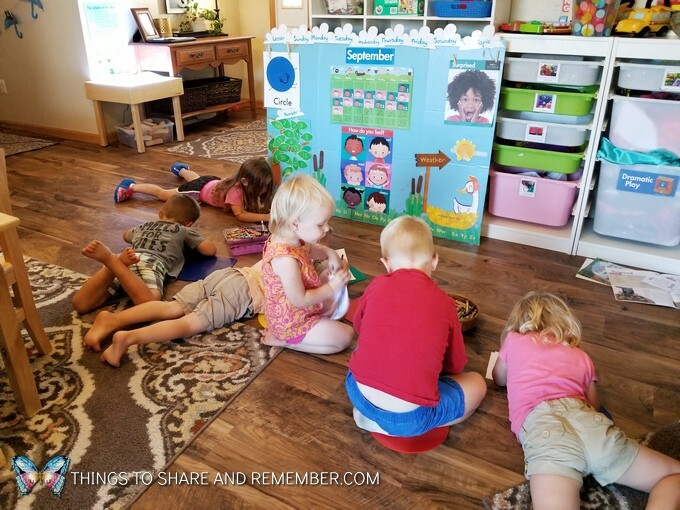 Tummy time for older children? Yes! Read about it here. 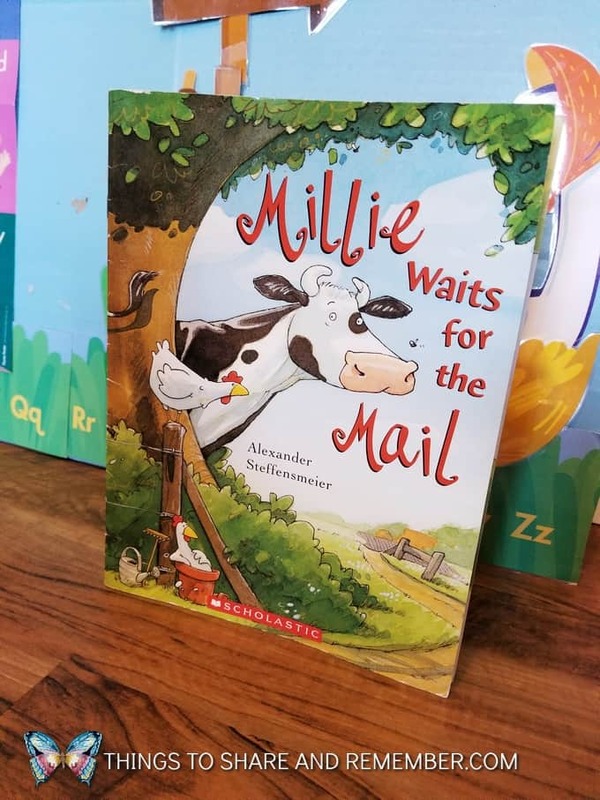 Millie Waits for the Mail was our book for the feeling “surprised”. Millie likes to hide and wait for the mailman. Then she surprises him. Everyday! 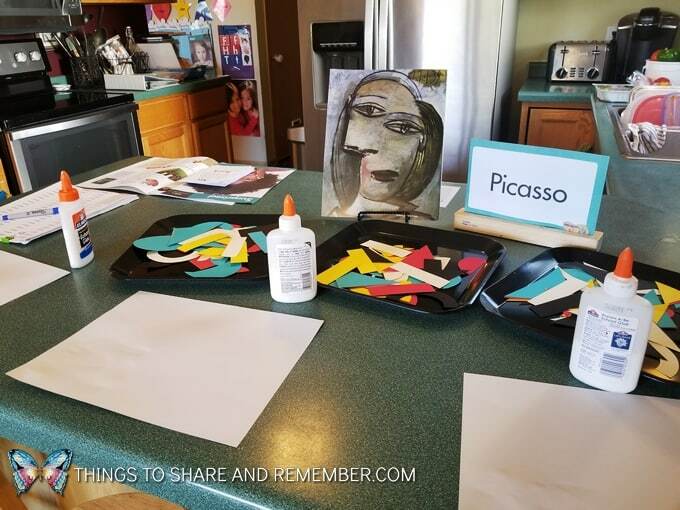 This is how I set up our Picasso Invitation to Create. One of my almost-four-year-olds came in and said: “Miss Stacy, why are you going to have us make an ugly mug?” Haha! The painting isn’t appealing to be me either. Some of the kids think it’s a “zombie” or a “monster”. 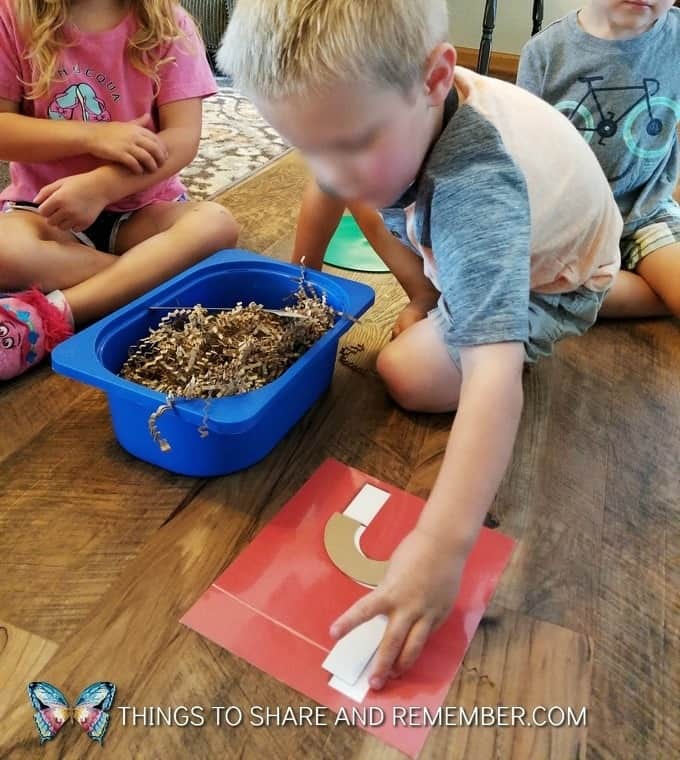 We talked about how when we look at the picture it looks surprising. That’s how I connected it to the surprised feeling. While they were working I told how Picasso used shapes in his art and I pointed out different shapes in the painting. After a bit, the 4-year-old said, “The longer you look at it, the better it is. At first, it just looks like “slops and globs” but then it looks better.” Haha!! I have to say I was so impressed with his observation and his new appreciation for art! What facial features do you see in the Inspiration Photo? How do you think the person is feeling? Can you add any other details to the face? How will you build a face? My group didn’t really make faces but that is okay too. 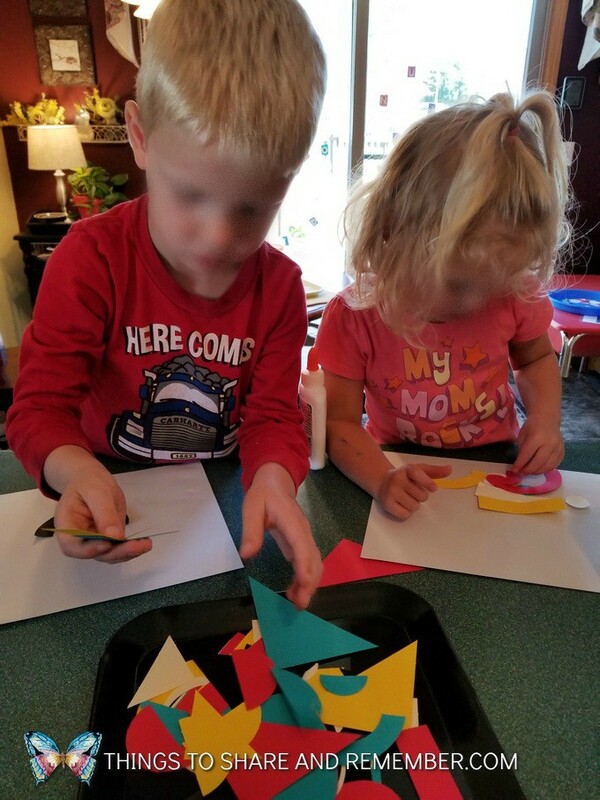 We practiced “dot, dot, not a lot” while squeezing glue and just enjoyed the process of selecting shapes and making a colorful design. 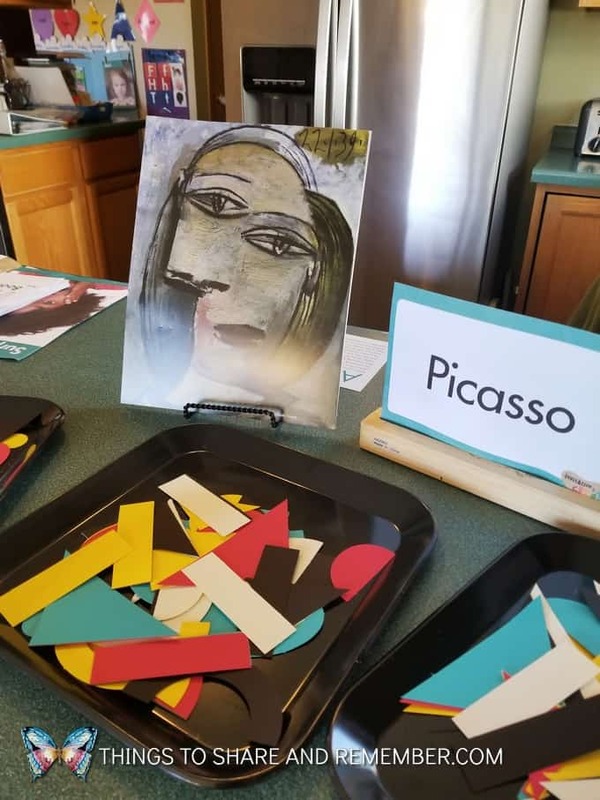 Why learn about Picasso in preschool? Young children are capable of so much more than we often think or expect. Just think of it as an introduction, a starting point, where we expose children to art, art techniques, concepts. Viewing and thinking about art broadens our horizons. 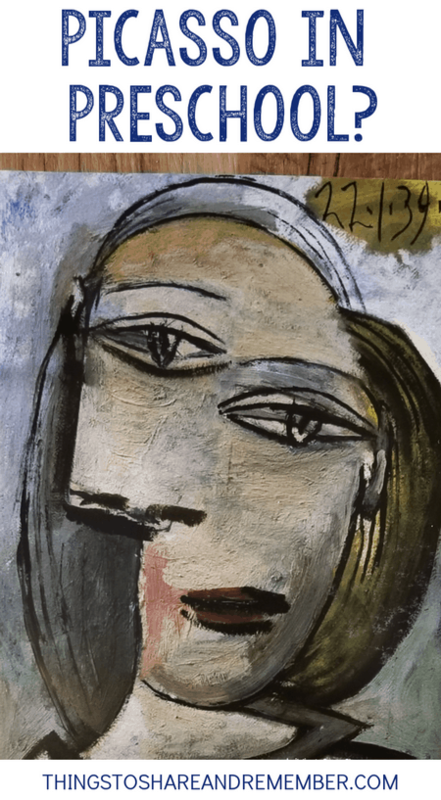 Art makes us think differently like the 4-year-old expressed when he looked at the Picasso painting. It also gives the opportunity for children to learn about history and gain general knowledge about their world. 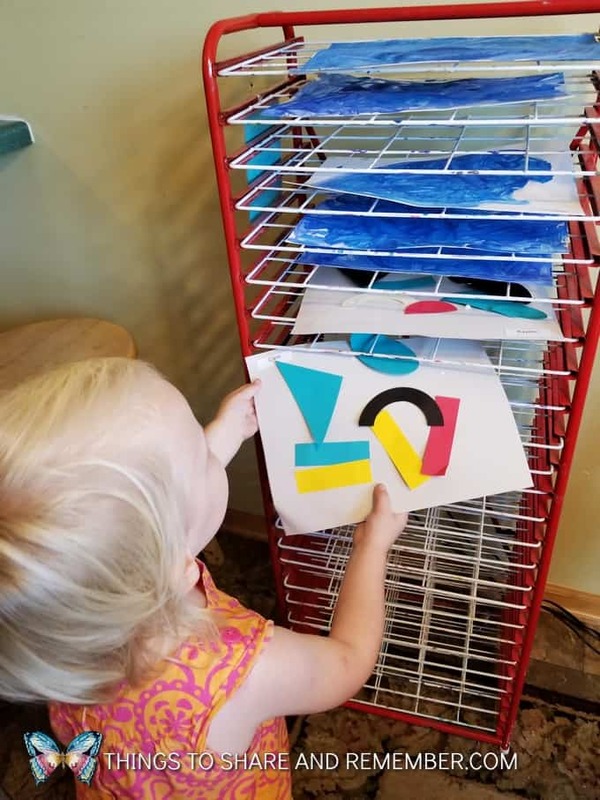 Looking at famous art can inspire even the youngest to create something they haven’t before. 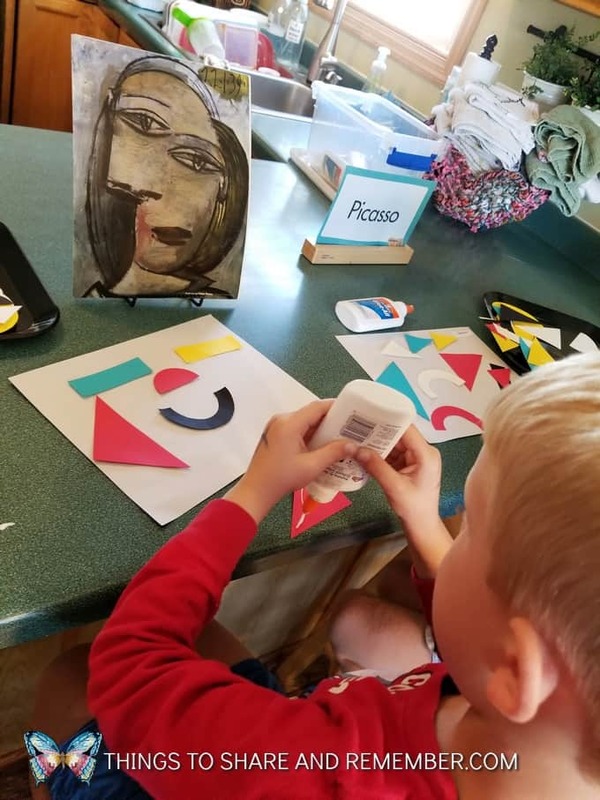 Art can also encourage children to “observe closely, think critically and discuss respectfully” as noted in this article about art appreciation. I love that Mother Goose Time includes famous artist’s work as inspiration for our art! 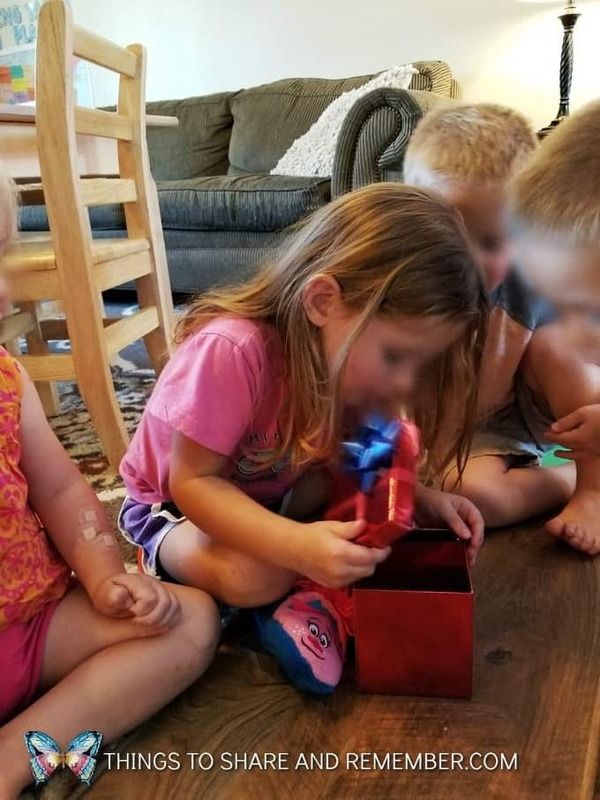 How can preschoolers show someone they care? 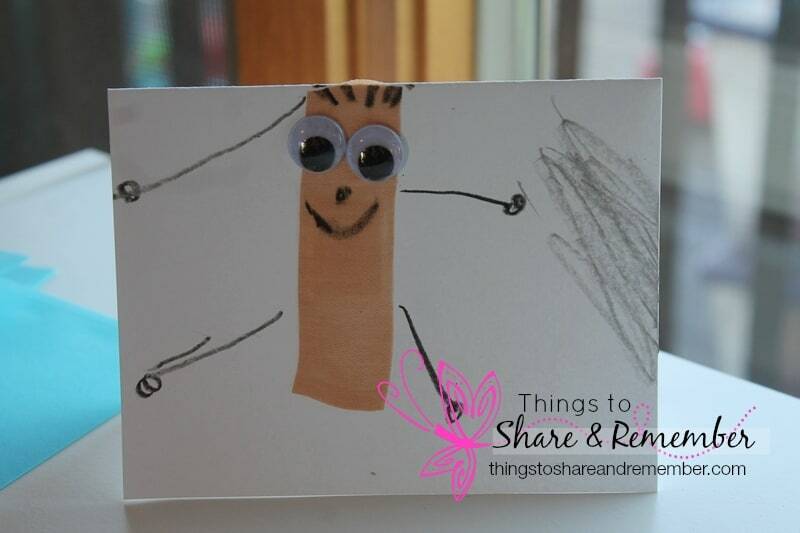 They can smile, say nice words, share, read a book together, help one another or make a card. 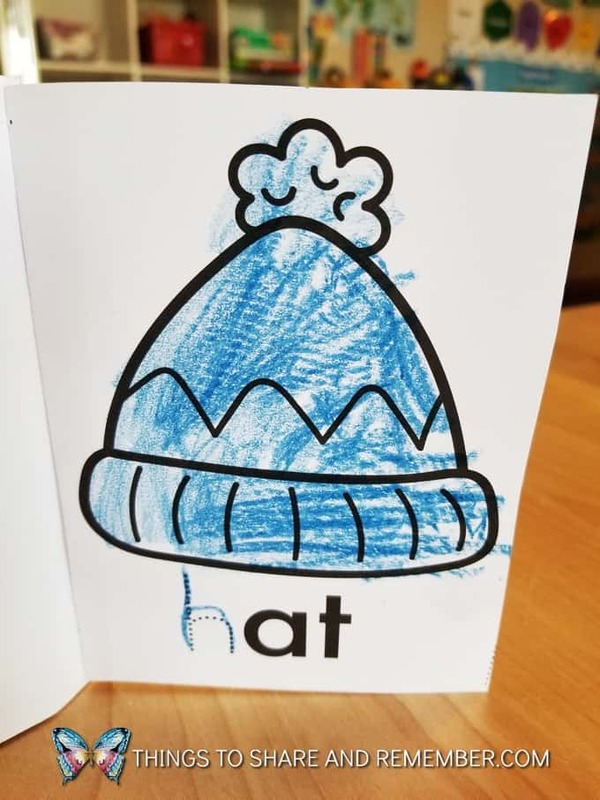 Kids love to make cards! 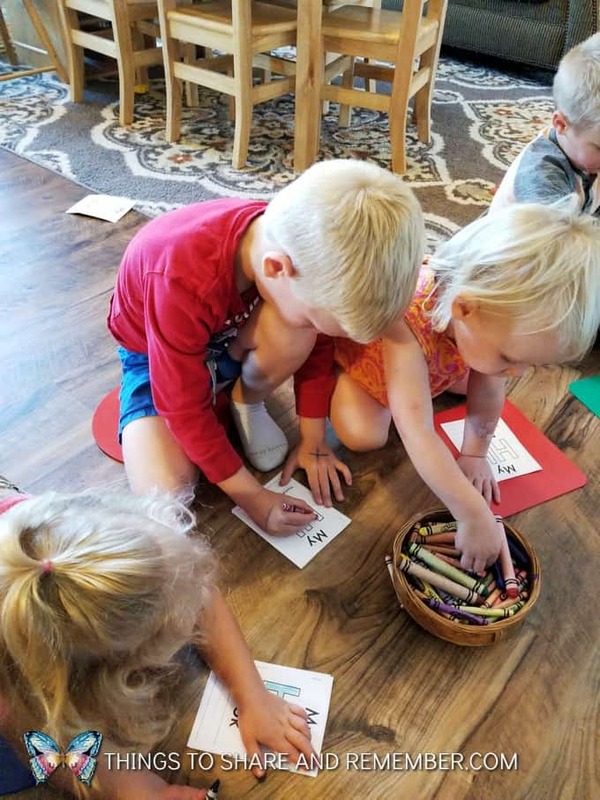 In our Friends & Feelings Mother Goose Time unit, we made caring cards, especially for a friend that’s not feeling well. 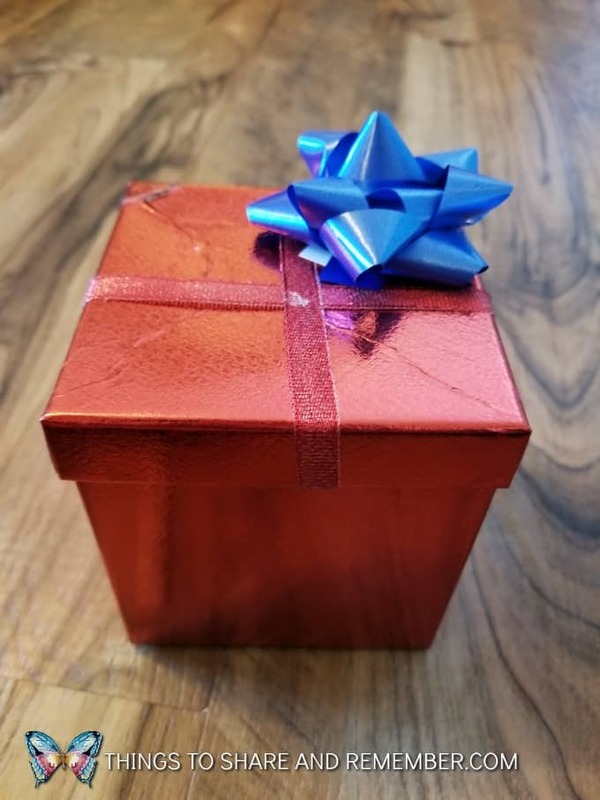 Fold paper in half to create a card. 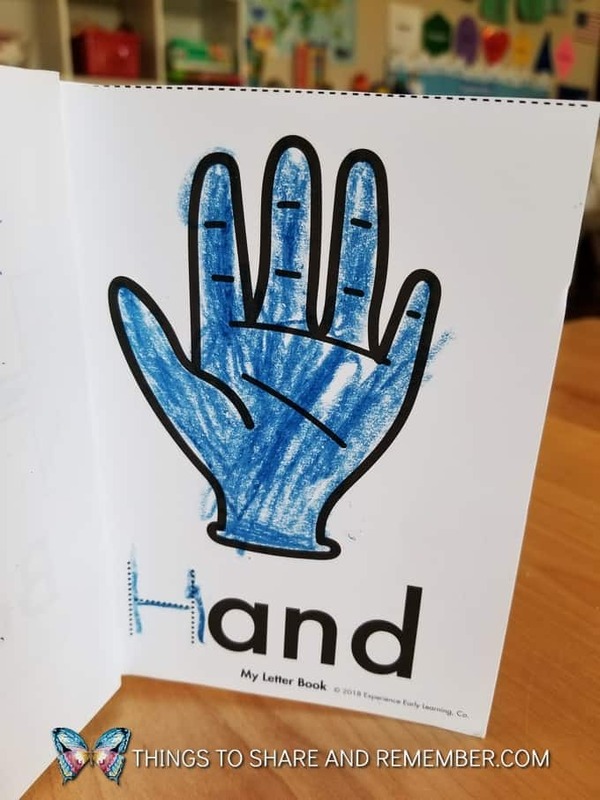 Color and write on the card. 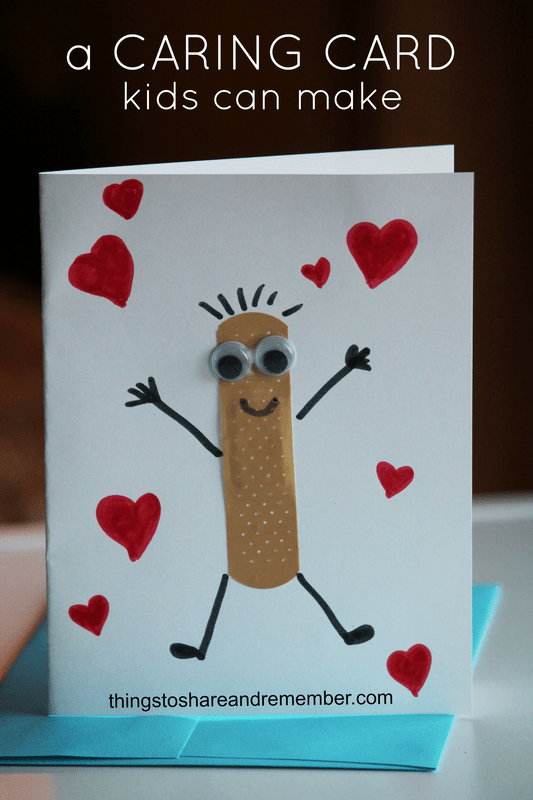 Add the bandages and wiggle eyes to make a silly friend on the card. Discuss how the card might make a sick person feel better. 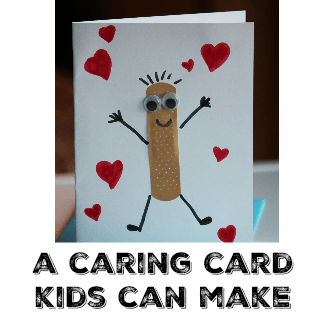 Invite children to place their cards in envelopes and give it to a friend or family member who may need to feel better. Teaching children to care for others is important. They need to know they too can make a difference in how someone feels. 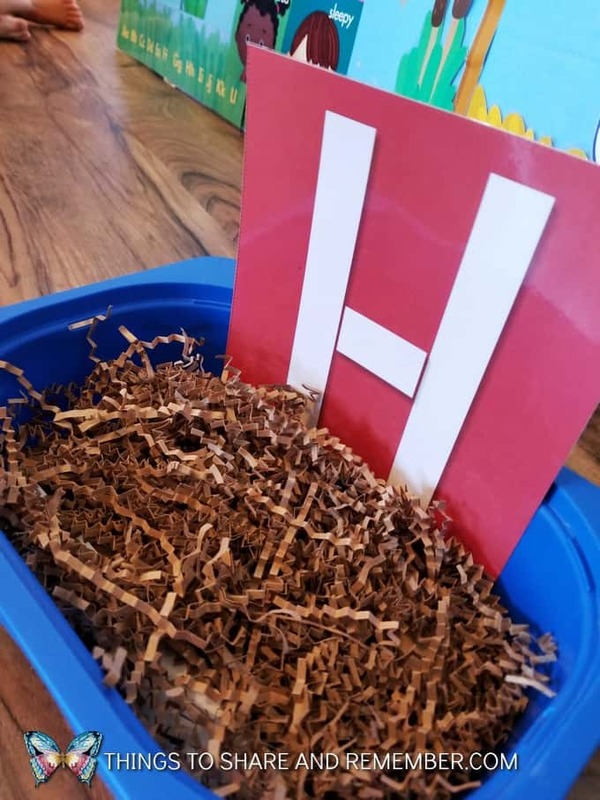 We also learned this little song (to the tune of “Row Your Boat”) and talked about a personal message we could write in the card.